Moore’s law continues to drive down the costs of hard disk drives, reducing the capital cost of acquiring data storage solutions for your business. I think we can all agree that cost reduction is always great for business. There are two types of cost reduction: Capital Expenditure (CAPEX) and Operational Expenditure (OPEX). CAPEX is easy to measure, since it is the cost of the product. Many companies don’t fully consider the overall OPEX when replacing a storage array, resulting in underestimating the long-term costs of implementing and maintaining a data storage solution over the course of its lifetime. 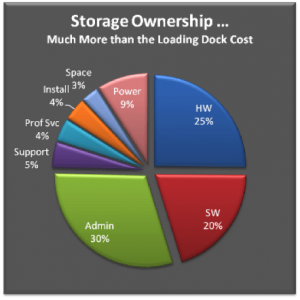 Multiple Total Cost of Ownership (TCO) studies by industry analysts DCIG, Gartner, and Parity Research found that a storage array actually costs more to operate than to acquire. A recent TCO analysis by Storage Networking Industry Association (SNIA) on All-Flash arrays included support costs. Analysis of the SNIA findings for all-Flash arrays showed a support cost over 2.5 times higher than that of TrueNAS®’ award-winning white-glove support. Using TrueNAS® significantly reduces storage administration cost and deployment risk with its self-healing file system, a simple yet versatile storage management interface, bidirectional replication, proactive support, high availability, VMware integration, and 3rd party certifications. 1. Reduces Space Costs and Power Too! 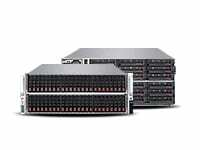 Traditional storage arrays may degrade in I/O performance as capacity grows. 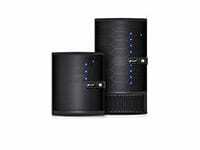 This requires adding a second storage array to simply maintain performance, resulting in an increase in space and power costs. 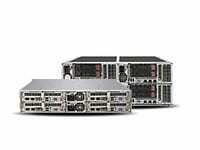 The TrueNAS® scalable architecture lets you grow capacity to 5PB using a single, highly-available controller with no performance reductions or bottlenecks, avoiding the need to add a second array. DCIG analyzed the average storage density of multiple enterprise storage arrays and reported that density with TrueNAS® was almost twice as high as competitors. How your vendor reacts to critical situations makes the difference between missing, meeting, or exceeding support expectations. iXsystems builds its business on quality service and support that consistently exceeds customer expectations. Our U.S.-based team of engineers and support professionals becomes an extension of your team, providing both proactive and reactive support for your TrueNAS® storage deployment. You no longer need to purchase services or additional hardware, lowering operational expenses. In fact, customers say that iXsystems consistently provides “5 Star Support” and our customers prefer our support to that of other vendors. Analyzing SNIA’s analysis shows that the TrueNAS® support cost is up to 60% lower than the competition, while its modular/toolless architecture makes maintenance a breeze. 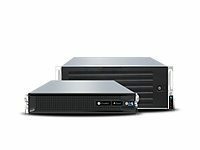 Many storage solutions make it difficult to perform typical administrative tasks or require the purchase of additional software. Organizations need to simplify complex administrative tasks—and TrueNAS® delivers by providing a simple yet versatile management solution for every aspect of the enterprise. A wizard further simplifies configuration and provisioning during installation or after deployment. 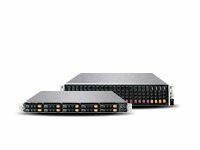 iXsystems has tuned TrueNAS® to deliver the highest level of performance and functionality possible for business-critical applications. 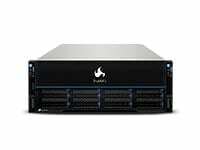 Our performance tuning leverages our decades of experience in producing storage and server appliances for thousands of customers. 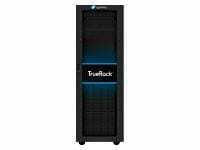 This and the TrueNAS® VMware vCenter integration, high availability design, and third-party certifications help reduce storage deployment risk. Many enterprise storage vendors focus on reducing the acquisition cost of TCO but do not focus on the OPEX portion of TCO. Or they use a complex OPEX story to explain away a high acquisition cost. iXsystems doesn’t have to do either because we deliver complete TCO. Be sure to consider both CAPEX and OPEX when looking at the total cost of your next storage solution, and select a storage array like TrueNAS® to reduce both up-front acquisition costs and ongoing operational expenses in your data center. Learn more about the TrueNAS® architecture in this white paper and then email us at sales@ixsystems.com or call us at 1-855-GREP-4-IX (1-855-473-7449) to discuss your needs with one of our consultative account managers. Join us for a free webinar with iXsystems Co-Founder Matt Olander and learn more about why businesses everywhere are replacing their proprietary storage platforms with TrueNAS®.